The use of cannabis in New Zealand is regulated by the Misuse of Drugs Act 1975, which makes unauthorised possession of any amount of cannabis a crime. Cannabis is the fourth-most widely used recreational drug in New Zealand, after caffeine, alcohol and tobacco, and the most widely used illicit drug. In the population of more than four million, 13.4% of those aged 16–64 use cannabis. This ranks as the ninth-highest cannabis consumption level in the world. From 18 December 2018, the Misuse of Drugs act was amended by the Misuse of Drugs (Medicinal Cannabis) Amendment Act 2018 (2018 No 54) allowing for much broader use of medical marijuana, making the drug available to terminally ill patients in the last 12 months of life. On 18 December, the Sixth Labour Government announced a nationwide, binding referendum on the legality of cannabis for personal use, set to be held as part of the 2020 general election. (c) Extracts and tinctures of Indian hemp. Cannabis continued to be used as a prescription medication. In accordance with its international obligations under the 1961 Single Convention on Narcotic Drugs, New Zealand passed the Narcotics Act in 1965, which banned a number of drugs, including cannabis. Recreational cannabis use was rare in New Zealand for most of the 20th century, with one scholar noting 1967 as a watershed point where demand for cannabis boomed among “musicians and university students”. Cannabis is the most widely used illegal drug in New Zealand and the fourth-most widely used recreational drug after caffeine, alcohol and tobacco. The usage by those aged between 16–64 is 13.4%, the ninth-highest level of consumption in the world, and 15.1% of those who smoked cannabis used it ten times or more per month. According to a UN study usage by 15- to 45-year-olds in 2003 was about 20% and this dropped to 17.9% in 2010. Our research shows the regular use of cannabis increases the risks that young people will try other illicit drugs. What’s not clear are the underlying processes that lead to this association. Understanding these processes is critical to how we view cannabis. If the association arises because using cannabis increases contact with illegal drug markets, this is a ground for the decriminalisation or legalisation of cannabis. If, however, the association arises because using cannabis encourages young people to experiment with other illicit drugs the results could be seen as supporting the prohibition of cannabis use. Cannabis use is controlled by the Misuse of Drugs Act 1975. Possession of any amount of cannabis is illegal. 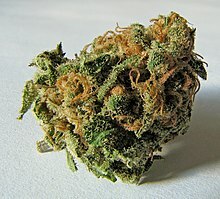 The maximum penalty for possession of cannabis is imprisonment for a term not exceeding three months or a $500 fine, although section 7(2) of the Misuse of Drugs Act 1975 contains a rebuttable presumption against imprisonment in respect of possession offences in respect of class C controlled drugs, which include cannabis. Cultivation of cannabis carries a maximum penalty of seven years’ imprisonment. Selling cannabis, offering to sell or supplying cannabis to a person under the age of 18 years carries a maximum penalty of eight years’ imprisonment. Cannabis oil and hashish are defined as class B drugs, and those convicted of manufacturing or supplying face a maximum penalty of 14 years’ imprisonment. Possession of a class-B controlled drug carries a maximum sentence of up to three months’ imprisonment or a fine not exceeding $500. Anyone caught in possession of at least 28 grams (1 ounce) of cannabis or 100 cannabis joints is presumed to be a supplier, unless the defendant can prove they are not. However, in R v Hansen , a majority of the Supreme Court held that this presumption was inconsistent with section 25(c) of the Bill of Rights Act, which affirms the right of those charged with an offence to be presumed innocent until proven guilty. They also held that it was not a justified limitation under section 5 of that Act. Cannabis is a class C drug, of which the penalty for dealing can result in a maximum prison sentence of eight years under the Act. There have been many public campaigns to decriminalise cannabis but so far none have succeeded. It is generally accepted that the usage rate is high and possession in small quantities may not often be prosecuted. In some cases first offences may result in a formal warning and confiscation by police. The Aotearoa Legalise Cannabis Party has stood candidates since the 1996 general election. They won 1.66% of the party vote in that election, the largest proportion in its history. The party has never won an electorate seat, without which they must receive at least 5% of the party vote to be represented in parliament. In 2006, Green Party MP Metiria Turei‘s Misuse of Drugs (Medicinal Cannabis) Amendment Bill was drawn from the member’s ballot. The purpose of the bill was to amend the Misuse of Drugs Act so that cannabis could be used for medicinal purposes, and to permit the cultivation and possession of a small amount of cannabis by registered medical users or a designated agent. The bill received a conscience vote at its first reading in July 2009, and was defeated 84–34. All MPs in the ruling National Party voted against the bill, as did the sole members from United Future and Jim Anderton’s Progressive Party; while all members from the Green Party and ACT voted in favour of the bill (other than ACT MP Roger Douglas, who did not vote). The vote was split from MPs in the opposition Labour Party and the Māori Party. In March 2016, New Zealand’s Associate Health Minister Peter Dunne has said that he would support policy change regarding medical marijuana if it is proven to be effective in treating illnesses. This, along with the seasonal shortage of cannabis that has been intensified by multiple police raids on cannabis crops, has put New Zealand’s cannabis policies in the political spotlight locally. There have been talks of policy change among government officials, and multiple MPs do support policy change, but as of yet there have been no actual plans made to change New Zealand’s laws around cannabis. NORML NZ is currently the predominant organisation pushing for a change, but support from a large proportion of the public exists. A poll carried out by the research company UMR surveyed 1750 New Zealanders, and the results concluded that 71% of the people surveyed supported the idea of a medicinal marijuana regime in New Zealand. In December 2016, the Green Party said that if it formed a government in the 2017 election it will legalise cannabis. ‘Under its proposal, people would be able to legally grow and possess marijuana for personal use’. The party would also ‘urgently amend the law so sick people using medicinal marijuana were not penalised’. In the formation of the Sixth Labour Government in 2017, the Greens leveraged a cannabis referendum, to be held before the expiration of the 52nd New Zealand Parliament in 2020. On 11 December 2018, the House of Representatives passed the Government sponsored Misuse of Drugs (Medicinal Cannabis) Amendment Act 2018, which received royal assent on 17 December 2018. From 18 December 2018, terminally ill patients have been able to lawfully consume cannabis for medicinal purposes. On 18 December, the Government announced a nationwide, binding referendum on the legality of cannabis for personal use, set to be held as part of the 2020 general election. At least four people have died while policing cannabis in New Zealand. Detective Travis Hughes and Christopher Scott were killed when their Cessna 172 crashed in Central Otago while on cannabis reconnaissance. Detective Tony Harrod died falling from a helicopter sling recovering plants in Taranaki. During the 2009 Napier shootings, Jan Molenaar fired on three police officers executing a cannabis search warrant, killing Senior Constable Len Snee. People who knew Molenaar described a long-standing, tense relationship between him and the police surrounding the legality of his cannabis involvement, saying, ‘Molenaar believed his home was being watched and told friends he was determined to “go out in blaze of glory” if police came to arrest him’, and, ‘police knew who Molenaar was and knew what he would do in a situation’. A notable case involving cannabis growing equipment was the prosecution of the owner and general manager of the Switched on Gardener stores following a series of arrests and raids in 2010. Approved cannabis-based pharmaceuticals can be prescribed by a specialist doctor, but requires patients to meet strict criteria. As of April 2016, only Sativex is approved for use in New Zealand; it is not subsidised, so patients must pay the full retail cost. Unapproved cannabis-based pharmaceuticals (e.g. Cesamet, Marinol) and non-pharmaceutical cannabis products can be approved on case-by-case basis by the Minister of Health. On 9 June 2015, Associate Health Minister Peter Dunne approved the one-off use of Elixinol, a cannabidiol (CBD) product from the United States for a coma patient, and on 4 April 2016, he approved the one-off use of Aceso Calm Spray, a non-pharmaceutical-grade CBD cannabis-based product for a patient with a severe case of Tourette syndrome. These two cases are the only ones to this date to have been approved by the Health Minister. The New Zealand Medical Association (NZMA) supports having evidence-based, peer-reviewed studies of medical cannabis. In 2010 the New Zealand Law Commission made a recommendation to allow for its medical use. The NZMA, which made submissions on the issues paper, supports the stance put forward by the Law Commission. GreenCross New Zealand was the first legally registered support group fighting for patient rights to access cannabis as medicine; however, this group is now defunct due to not filing financial statements. As of September 2017 the only explicitly medical advocacy group is Medical Cannabis Awareness New Zealand (MCANZ) a registered charity dedicated to legal access for patients now, and is mildly successful with the non-pharmaceutical route, having introduced Tilray for a small number of patients thereby allowing NZ stocks to be held. In December 2017, it was announced that medicinal use will be legalised, in order to “ease suffering” for those with “terminal illnesses or chronic pain”. Those qualified to receive prescriptions will be able to purchase medicinal cannabis from licensed pharmacies. Additionally, the terminally ill who are found to possess cannabis without a license will not be prosecuted or penalised. Minister of Health David Clark stated that “the compassionate measure legalises what some people are already doing, and will ensure no prosecutions while the new prescribing framework is set-up.” The particulars were to be discussed in the future. In August 2018 Hikurangi Cannabis became the first New Zealand company to be issued a license to cultivate cannabis for medical purposes. A medicinal cannabis industry body, the New Zealand Medical Cannabis Council was established in September 2018. ^ a b United Nations Office on Drugs and Crime (2006). World Drug Report 2006 (PDF). 2. United Nations Publication. ISBN 92-1-148215-1. ^ a b c d Roy, Eleanor Ainge (2018-12-11). “New Zealand passes laws to make medical marijuana widely available”. The Guardian. ISSN 0261-3077. Retrieved 2018-12-11. ^ a b “Binding referendum on legalising cannabis for personal use to be held at 2020 election”. Radio New Zealand. 18 December 2018. Retrieved 18 December 2018. ^ Chris Duvall (15 November 2014). Cannabis. Reaktion Books. p. 67. ISBN 978-1-78023-386-4. ^ a b Greg Newbold (3 June 2016). Crime, Law and Justice in New Zealand. Routledge. pp. 153–. ISBN 978-1-317-27561-9. ^ a b Ministerial Committee on Drug Policy (2007). National Drug Policy 2007–2012 (PDF). Wellington: Ministry of Health. ISBN 978-0-478-30751-1. Retrieved 9 February 2017. ^ a b “Doctors backing medical use of cannabis”. Sunday Star Times. 13 June 2010. ^ a b “Illicit drug use starts with cannabis”. Christchurch School of Medicine and Health Sciences, University of Otago. 14 March 2006. Retrieved 6 December 2008. ^ Fergusson, David; Joseph M. Boden; L. John Horwood (April 2006). “Cannabis use and other illicit drug use: Testing the cannabis gateway hypothesis”. Addiction. 101 (4): 556–569. doi:10.1111/j.1360-0443.2005.01322.x. PMID 16548935. ^ “Possession and use of controlled drugs”. Misuse of Drugs Act 1975 No 116 (as at 08 September 2011), Public Act. Wellington, New Zealand: New Zealand Parliamentary Counsel Office/Te Tari Tohutohu Pāremata. 8 September 2011. Section 7(2). Retrieved 26 February 2012. ^ “Dealing with controlled drugs”. Misuse of Drugs Act 1975 No 116 (as at 08 September 2011), Public Act. Wellington, New Zealand: New Zealand Parliamentary Counsel Office/Te Tari Tohutohu Pāremata. 8 September 2011. Section 6(6). Retrieved 26 February 2012. ^ “Schedule 5: Amount, level, or quantity at and over which controlled drugs are presumed to be for supply”. Misuse of Drugs Act 1975 No 116 (as at 08 September 2011), Public Act. Wellington, New Zealand: New Zealand Parliamentary Counsel Office/Te Tari Tohutohu Pāremata. 8 September 2011. Part 1. Retrieved 26 February 2012. ^ “Chapter 10” (PDF). NZLC IP16 Controlling and regulating drugs (PDF). Wellington, New Zealand: Law Commission. 11 February 2010. p. 202. ISBN 978-1-877316-89-0. Retrieved 26 February 2012. ^ a b “MMP Elections”. Christchurch, New Zealand: Aotearoa Legalise Cannabis Party. 28 November 2011. Retrieved 13 May 2012. ^ “Summary of overall results” (PDF). 1996 General Election – Official Results and Statistics. Wellington, New Zealand: Electoral Commission. Retrieved 13 May 2012. ^ a b “New Zealand Election Results”. Wellington, New Zealand: Electoral Commission. Retrieved 13 May 2012. ^ “Sainte-Laguë allocation formula”. Elections New Zealand. Wellington, New Zealand: Electoral Commission. Retrieved 13 May 2012. ^ “Misuse of Drugs (Medicinal Cannabis) Amendment Bill”. New Zealand Parliament. Retrieved 8 December 2009. ^ “Explanatory note”. Misuse of Drugs (Medicinal Cannabis) Amendment Bill 58-1 (2006), Members Bill. Wellington, New Zealand: New Zealand Parliamentary Counsel Office/Te Tari Tohutohu Pāremata. 2006. Retrieved 26 February 2012. ^ “Purpose”. Misuse of Drugs (Medicinal Cannabis) Amendment Bill 58-1 (2006), Members Bill. Wellington, New Zealand: New Zealand Parliamentary Counsel Office/Te Tari Tohutohu Pāremata. 2006. Retrieved 26 February 2012. ^ a b “Misuse of Drugs (Medicinal Cannabis) Amendment Bill — First Reading”. Hansard. Wellington, New Zealand: New Zealand House of Representatives. 655: 4850. 1 July 2009. Retrieved 26 February 2012. ^ “Police recover 9000 cannabis plants in Nelson-Marlborough aerial operation”. Stuff.co.nz. 2016-03-07. Retrieved 2016-11-10. ^ “Medicinal marijuana: If it’s effective Peter Dunne will back it | 1 NEWS NOW”. TVNZ. 2016-10-23. Retrieved 2016-11-10. ^ “Most NZers support medical marijuana – poll | Radio New Zealand News”. Radionz.co.nz. Retrieved 2016-11-10. ^ Legal cannabis in NZ? Green Party offers green light to pot smokers. Last updated 9 December 2016. ^ Drug Law Reform Policy. The Green Party of Aotearoa New Zealand, official website. ^ Kirk, Stacey (20 October 2017). “Greens promised referendum on legalising the personal use of cannabis”. Stuff. Retrieved 24 March 2018. ^ “New Zealand to hold cannabis referendum within three years”. BBC. 20 October 2017. Retrieved 24 March 2018. ^ a b Bennett, Lucy (11 December 2018). “Medicinal cannabis bill passes third reading”. New Zealand Herald. Retrieved 28 December 2018. ^ “Misuse of Drugs (Medicinal Cannabis) Amendment Act 2018 (2018 No 54)”. www.legislation.govt.nz. House of Representatives. 17 December 2018. Retrieved 2019-02-24 – via New Zealand Legislation, Parliamentary Counsel Office. ^ “Plane crash inquest winds up”. TVNZ. 31 March 2006. Retrieved 18 October 2008. ^ “Investigation 05-002”. Transport Accident Investigation Commission. Archived from the original on 3 October 2011. Retrieved 13 April 2009. ^ “Fall kills policeman”. Otago Daily Times. 18 December 1990. p. 2. ^ “Investigation 90-012T”. Transport Accident Investigation Commission. Archived from the original on 3 October 2011. Retrieved 13 April 2009. ^ “Cop killer’s last words”. New Zealand Herald. 31 March 2010. Retrieved 22 December 2010. ^ “Napier siege inquest: Latest updates”. New Zealand Herald. 1 April 2010. Retrieved 22 December 2010. ^ “Switched on Gardener turns off to turning on”. The New Zealand Herald. 31 January 2013. Retrieved 14 February 2013. ^ “Annual Apprehensions for the latest Calendar Years (ANZSOC) — NZ.Stat”. Statistics New Zealand. Retrieved 8 April 2016. ^ “New Zealand Consumer Medical Information – Sativex, Oral spray” (PDF). New Zealand Medicines and Medical Devices Safety Authority. Retrieved 3 November 2011. ^ Jo Moir (2015-06-09). “Medicinal cannabis application approved for teenager in coma | Stuff.co.nz”. I.stuff.co.nz. Retrieved 2016-11-10. ^ Moir, Jo (4 April 2016). “Peter Dunne approves cannabis product for Tourette’s Syndrome patient”. Stuff.co.nz. Retrieved 7 April 2016. ^ Moir, Jo (5 April 2016). “Labour Party open to decriminalising medicinal cannabis”. Stuff.co.nz. Retrieved 8 April 2016. ^ “Cannabis”. New Zealand Medical Association. 9 February 2001. Retrieved 12 July 2010. ^ Controlling and regulating drugs (PDF). Issues paper 16. New Zealand Law Commission. 2010. p. 21. ISBN 978-1-877316-89-0. ^ “Medical Cannabis Awareness New Zealand: MCANZ”. Medical Cannabis Awareness New Zealand. Retrieved 24 March 2018. ^ “First Kiwi approved for new cheaper medicinal cannabis treatment”. Stuff. 12 November 2016. Retrieved 20 December 2017. ^ “Medicinal cannabis legislation introduced to ‘ease suffering‘“. NZ Herald. 20 December 2017. Retrieved 20 December 2017. ^ “Government rules terminally ill people allowed to smoke cannabis”. Newshub. 20 December 2017. Retrieved 20 December 2017. ^ “Medicinal cannabis cultivation licence issued to East Coast business for first time”. NewsHub. Retrieved 1 October 2018. ^ “New Zealand Medical Cannabis Council”. NZMCC. Retrieved 24 September 2018. ^ “Misuse of Drugs (Medicinal Cannabis) Amendment Bill”. New Zealand Parliament. Retrieved 30 December 2018. Abel, Sally (June 1998). “Cannabis in New Zealand: Policy and Prospects”. Social Policy Journal of New Zealand (10). Bone, Alistair (7 June 2003). “Dope test”. Listener. pp. 18–22. National Organisation for the Reform of Marijuana Laws, New Zealand Inc.
Kiwi entrepreneurs call for legalisation of cannabis, following worldwide success. – Stuff (New Zealand version). Published 7 January 2017. Retrieved 10 January 2017.